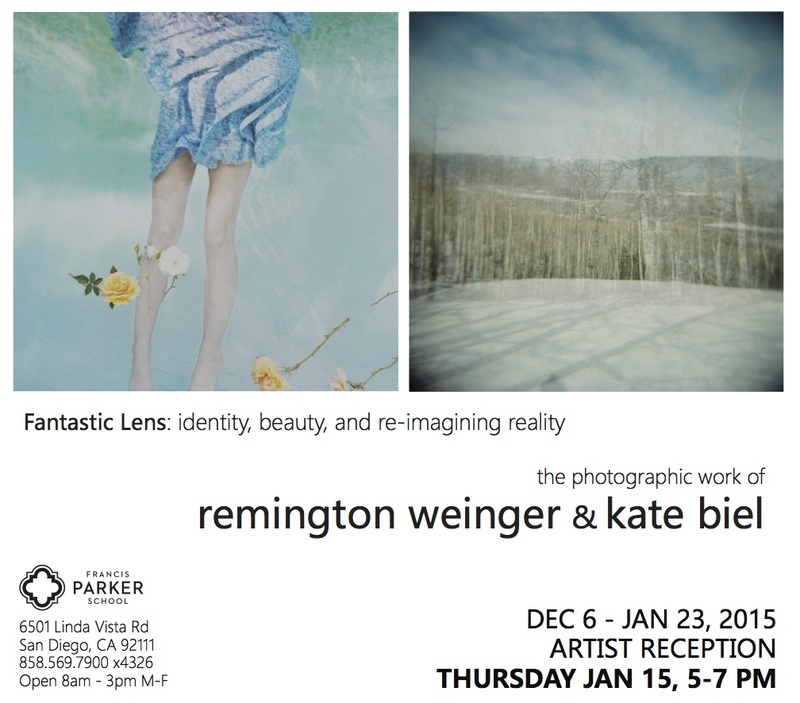 Former Parker students, Remington Weinger and Kate Biel are showcasing their current work in the Parker’s Rose Art Gallery. The show is called “Fantastic Lens: identity, beauty, and re-imagining reality,” as the imagery is surreal, intimate, and introspectively explores the frequently blended boundary between photographer and subject. Remington Weinger is currently completing her senior year in USD’s Studio Art program here in San Diego. Weinger’s photography encompasses a spectrum of subject matter, often manipulated by cross processes that she learned in the darkroom during her time at Parker. Kate Biel is a senior at Skidmore College majoring in Studio Art and minoring in Art History. Kate’s work in the gallery is presented through a number of images that represent larger photographic series that she has developed. Much of Kate’s work explores subjects that have been romanticized by society, in a light that casts a beautiful surface and equally turbulent undertones. 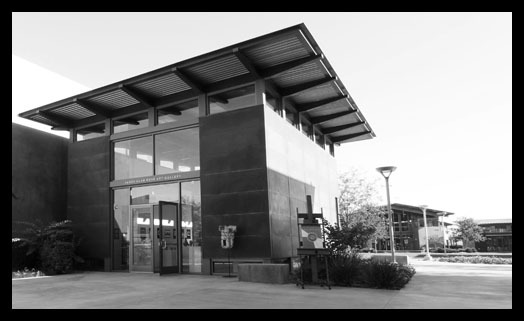 The exhibition will be on display from now until January 23rd., with the gallery closing from Dec. 20 – Jan 4 during Parker’s Winter Break. The Rose Art Gallery will host an artist reception for Biel and Weinger on Thursday January 15th from 5-7PM. The artists will be on site and snacks and coffee will be served. This entry was posted in Uncategorized on December 9, 2014 by parkerartdepartment.